Motivated employees are the lifeblood and the backbone of your business. By elevating employee satisfaction and happiness at work, you can look forward to better results and performance. That’s because happy employees deliver better service. They’re motivated to go the extra mile. This, in turn, leads to better retention, which can be challenging in this industry. This saves you from rehiring, retraining and other onboarding costs. Unhappy workers have 37 percent more absenteeism. Think about what that can do to your call center. High numbers of absent agents can lead to significant losses in revenue for your business. Disengagement also results in 49 percent more accidents. These employees were also 60 percent more prone to errors and mistakes. That alone can have a devastating effect on your business, especially when dealing with clients. But it’s not all doom and gloom. Take small steps to create a happy and motivated workplace. Showing your agents that you value their work is easy. Taking the time to praise someone or provide glowing praise and feedback is just some of the ways you can boost morale. Look and build opportunities for providing recognition to well-performing members of your team. That’s going to help you create a positive and happy call center environment. A tip: Be specific with your compliments. Don’t go with a vague “good job.” Comment on a specific detail. That's going to tell them that you not only pay attention, but that you also really mean the praise instead of thinking that you’re going with a general and vague pick-me-up for everyone. Find out how you can help your employees improve at their jobs. Do they have the tools they need to excel at their job? What kind of system do you have at work? It may be time to consider making the switch to a better outbound predictive dialer software, for example. 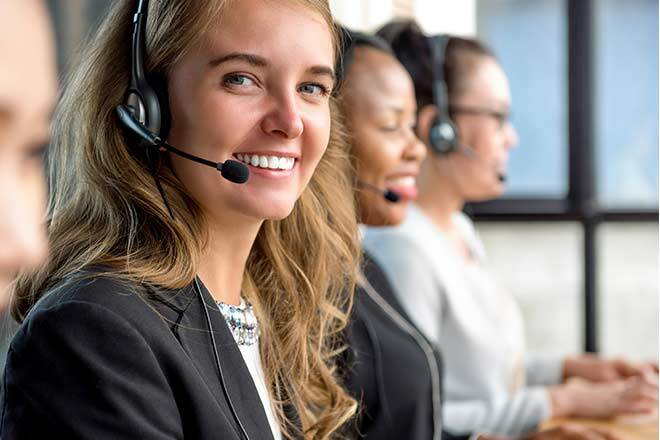 Your agents won’t waste time entering the numbers themselves, which, in the long-haul, saves tremendous time and allows your employees to make more calls than ever before. With the right tools, you’ll see their performance improve and grow. That’s going to have a major impact on morale, too. Every employee is different, especially when it comes to training. Some will take to it right away. Others will require quite a bit more “hand holding” until they get it. Because every employee is unique, the best way you can help them is through a system that allows you to monitor and listen in on calls so that you can pinpoint weaknesses and areas for improvement. This also allows you to record the call so you can refer to some of the instances during the customer interaction when you talk to the agent for feedback. There’s also a barge-in feature, which means you can take over the call at any point that you feel your agent may require your assistance. Trust goes both ways. When your agents know you’ve got their back, that helps build a positive workplace. They know you have their best interests at heart, so they’ll work harder to improve their performance. Systems that make it easy for you to coach and help your agents can drive home an important point: that you care about them. That makes them trust you more as a leader, which leads to greater employee investment and engagement in the job. People who are engaged display more motivation. They have the drive to work harder. They go the extra mile and they’re more willing to help out. By using the right call center software, you can set a good foundation for trust. That’s an essential element in building and growing a happy workplace. If you’re still using an old dialing software, then you’re missing out on a lot of opportunities to improve dialing efficiency at work. With a predictive dialer, you can cut down on the time agents spend on routine tasks. Eliminating that from their workload helps them become more efficient at their jobs, allowing them to render better performance. That means your employees aren’t going to feel stressed out trying to keep up. And, perhaps most importantly to them, better tools and systems help your employees to maximize their output in less time. Translation: they can perform at a higher level in less time (no more OT!). As a result, they can achieve a better work-life balance. 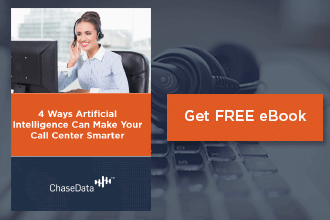 With ChaseData’s suite of features, you can start making positive changes at work, enough to lay the foundation for a happy call center environment. 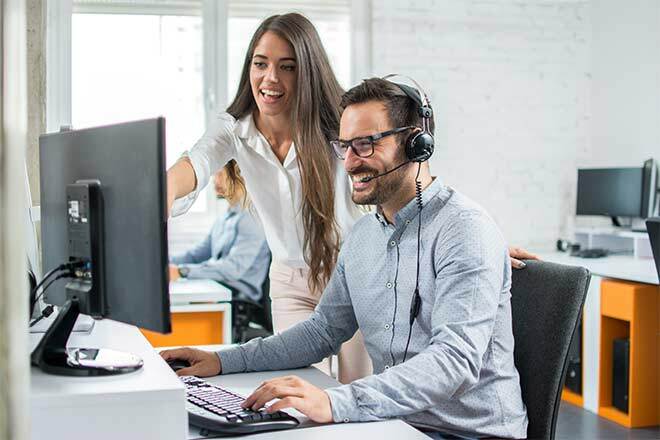 If you want to see what high employee satisfaction and happiness can do for your business, contact ChaseData and discover the many other reasons why it’s the ideal software solution for your call center.